I don’t like my table anymore. The wood is too thin. The legs are rigged up in a bootleg fashion. It wobbles. The color is still good for me. But everything else…no. My dogs ruined my rug. It was nice for several weeks. All I needed was a rug pad underneath to stop the sliding and give it some cushion. Then one fateful day, one dog (I suspect that one in the picture – the boy) decided to pee on the floor, getting some on the rug as well. Ugh. That just made me NOT like the rug anymore. I was always vacuuming up dog hair and NOW THERE’S URINE?!?!? Oh, hellz no. 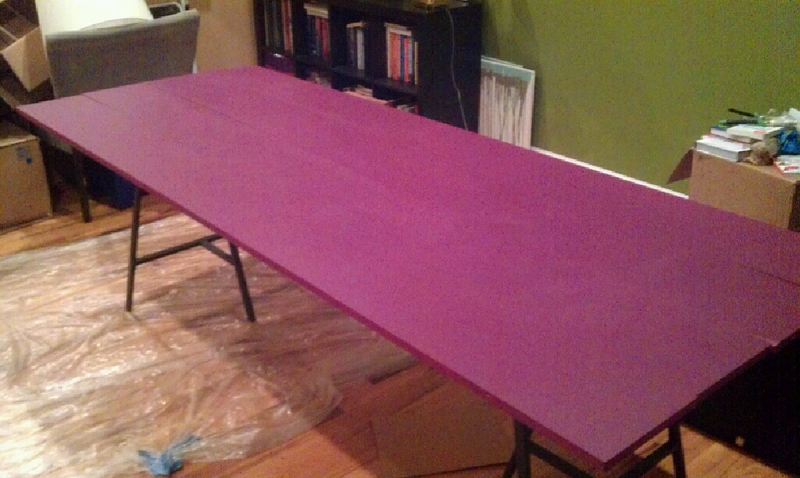 And the paint was fading in some spots. It just wasn’t what I thought it’d be. Maybe it’s my own fault for 1) not crating my dogs when I left that day and 2) not heat sealing the paint after I finished the project. SIGHHHH!!! I started making some no-sew striped curtains. I hung one panel and HATED IT! Lord. Give me strength. I’m living in this fabulous condo and I feel so much pressure to make it great. I’m afraid I’m not living up to the challenge. I look at my favorite house blogs like MerryPad, YoungHouseLove, and House Tweaking and I just feel like I don’t know what I’m doing anymore. Their ideas all look so simple in theory, but in practice….it’s another thing honey. 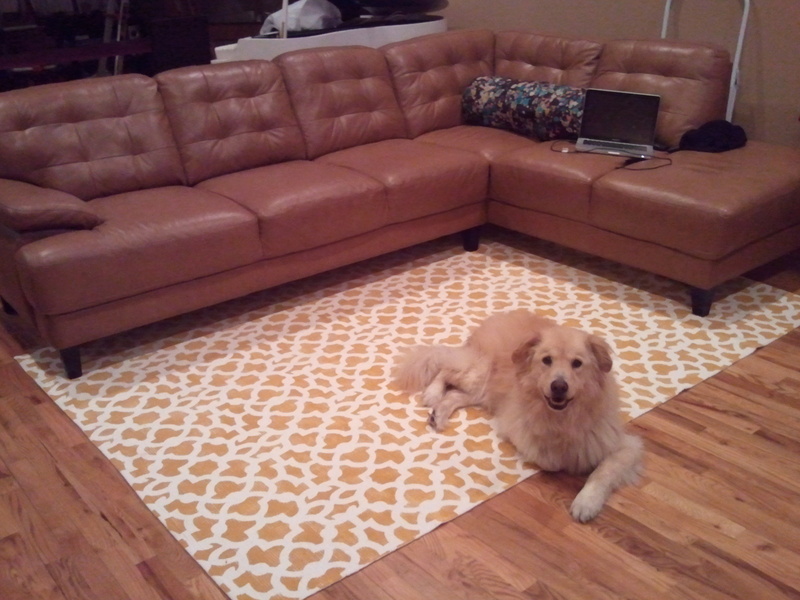 Posted in Why oh Why and tagged condo, DIY, fix, frustrated, help, makeover, rug, simple. Bookmark the permalink.